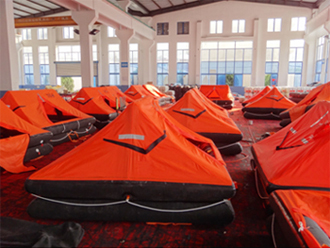 Servicing a life raft is no place for amateur or improvised solutions. With a large state-of-the-art approved repair facility, Sea-Safe can provide the level of quality inspection and service that you can depend on. Our services are approved by all major maritime authorities. Sea-Safe requires that all marine safety personnel are regularly trained and certified to follow each specific manufacturer’s service procedures. 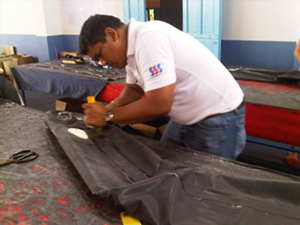 As a result, we are authorized to service all major brands of life rafts and inflatable crafts. Sea-Safe provides prompt and convenient dockside service. To ensure efficiency in your commercial operation, Sea-Safe will greet your ship on arrival and return most equipment within 12-24 hours.